Last week I gave you an important tip on how to pronounce long words, or more specifically, how to address words with suffixes. If you haven’t seen it yet, here’s the link. 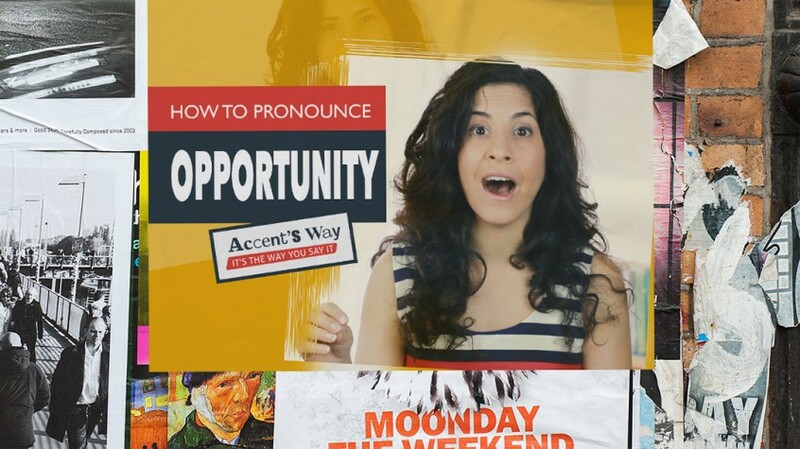 This week I’d like to talk about one ‘long word’ in particular: Opportunity. Say it to yourself out loud and then watch the video. Does it sound the same? Go ahead and practice this word a few times separately, and then, in context. There are many job opportunities out there? You don’t wanna miss out on this opportunity. Remember, every time you learn something new, you need to practice and use it enough times in order to make it your own! I am a mother of three wonderful kids and enjoying your videos every week. Let me share my problem with you. I have been struggling with saying “in the middle of the table” or “as a matter of fact”. My dd or tt sounds like just “l”. Can you help me?? Hope you will come back here in September with a lot of good memories with your family.